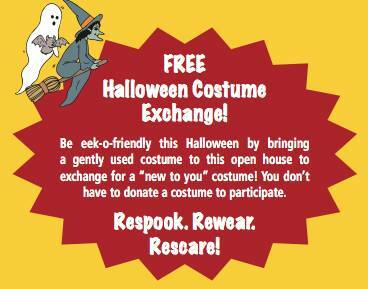 Be eek-o-friendly this Halloween by bringing a gently used costume to donate during Locals’ Night on October 16. Exchange for a “new to you” costume — you don’t have to donate a costume to participate. Plus kids will love checking out the fire truck and police cars!